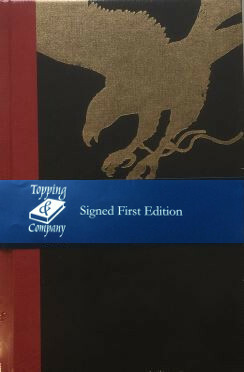 Hardcover New, Signed, Special First Edition. Winner of the Man Booker Prize 2012With this historic win for BRING UP THE BODIES, Hilary Mantel becomes the first British author and the first woman to be awarded two Man Booker Prizes, as well as being the first to win with two consecutive novels. Continuing what began in the Man Booker Prize-winning WOLF HALL, we return to the court of Henry VIII, to witness the irresistible rise of Thomas Cromwell as he contrives the destruction of Anne Boleyn.By 1535 Cromwell is Chief Minister to Henry, his fortunes having risen with those of Anne Boleyn. But the split from the Catholic Church has left England dangerously isolated, and Anne has failed to give the king an heir. Cromwell watches as Henry falls for plain Jane Seymour. Negotiating the politics of the court, Cromwell must find a solution that will satisfy Henry, safeguard the nation and secure his own career. But neither minister nor king will emerge unscathed from the bloody theatre of Anne’s final days.An astounding literary accomplishment, BRING UP THE BODIES is the story of this most terrifying moment of history, by one of our greatest living novelists.